Everybody stopped talking. 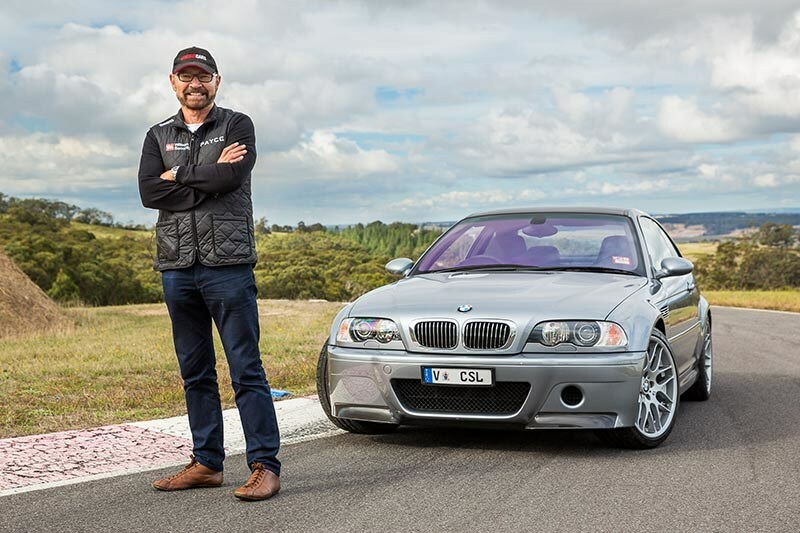 When John Bowe set out on track at Haunted Hills in the M3 CSL, it was time to just stand and listen. It was like an audible a data trace, hearing every minute adjustment of Bowe’s right foot through each corner, the buzzsaw shriek amplified by the CSL’s fabulously expensive carbon fibre airbox. At the end, Bowe emerged with the biggest smile of the day, just shaking his head and laughing to himself. "That is brilliant." The CSL was developed with a very specific target in mind. It had to get round the Nurburgring in eight minutes. To do this, head of body Hans-Bruno Starke and chassis development engineer Peter Schmidt had four key areas to work on; weight, aerodynamics, suspension and tyres. 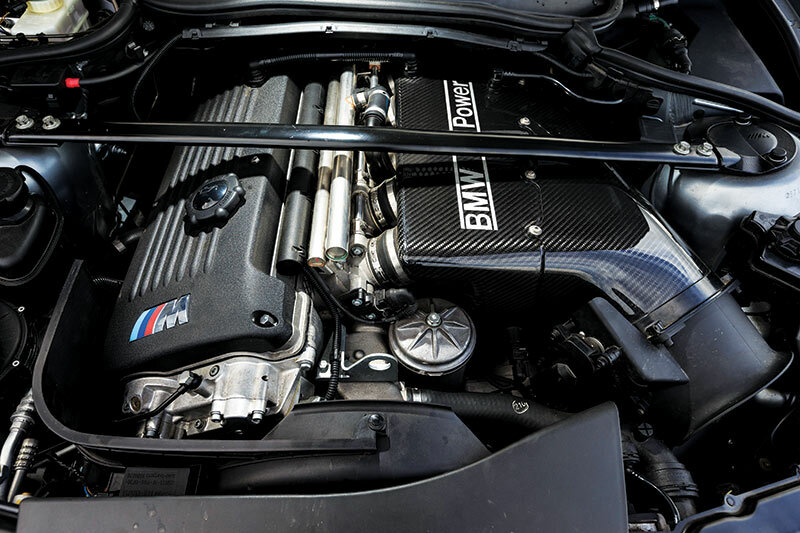 Power was a secondary concern, although changes to the cams, headers, intakes, exhaust, valves and engine management handily lifted peak power from 252 to 265kW. Weight was the key criterion. This was the first M car to pioneer the carbon fibre roof, saving 7kg from the part of the car where it made the biggest difference. Around 50kg came out of the interior, with lightweight seats, centre console, glass and door panels. A couple of kilos came off each wheel, with the aluminium lower control arms further reducing unsprung weight. 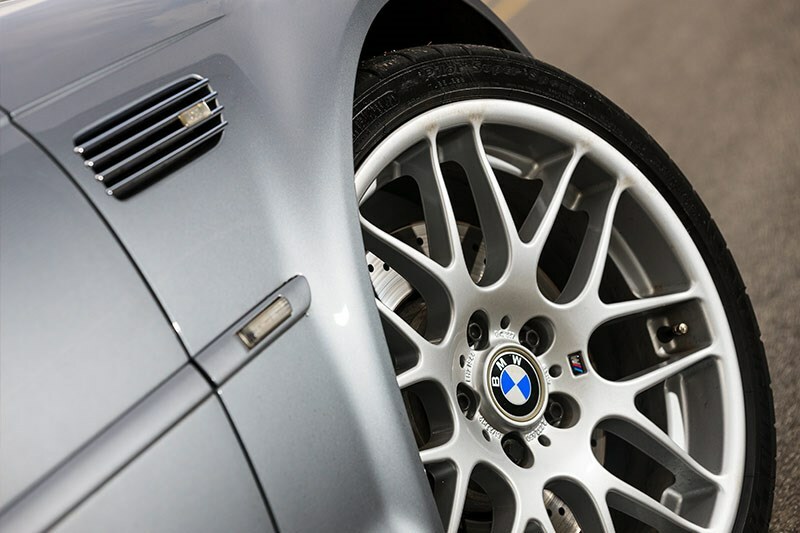 The carbon fibre front bumper shell is a pure racing part, helping to subtly shift weight distribution from the standard M3’s 52:48 front to rear a nadge back at 51:49. On the subject of weight, can we clear something up about the CSL’s boot? Based on an ancient Clarksonism, many believe that the boot floor of the CSL is made of cardboard and can’t hold any weight. The underside of the boot is metal, the same as any M3 but it does have a cardboard boot liner. CSL-specific BMW part number 51477895990; removable honeycomb paper composite panel. 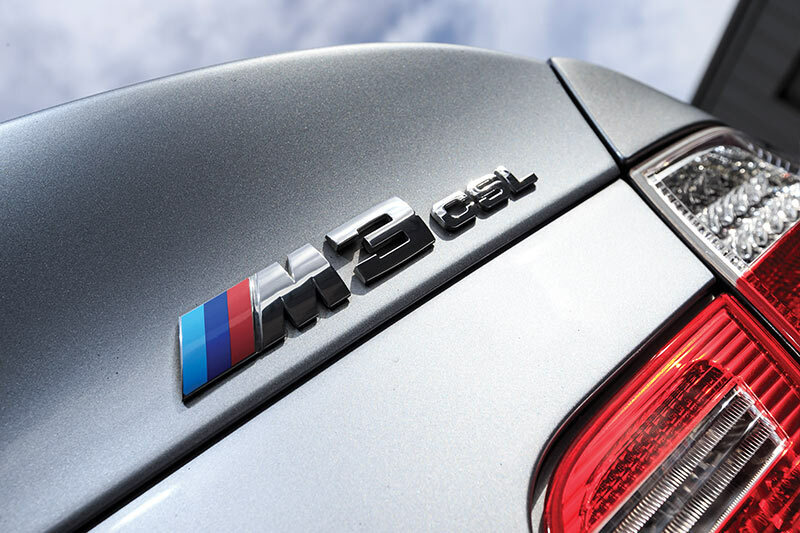 The plastic composite bootlid was developed more for aerodynamic benefit than weight saving, but a huge benefit came from the gumball semi-slick Michelin Pilot Sport Cup tyres. Later Cup+ tyres offered a little more wet weather versatility. 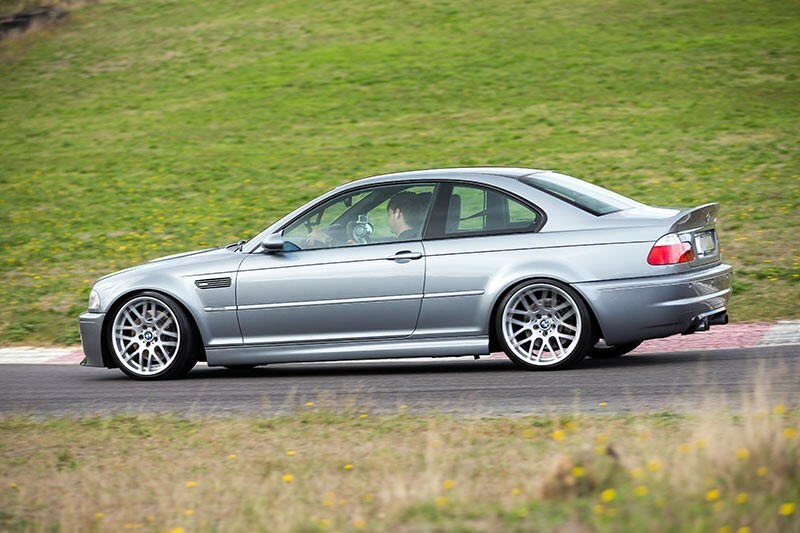 The CSL rides 10mm lower than a stock E46 M3 and the suspension has been seriously gym-toned. Springs, dampers, anti-roll bars, bump stops, king pins; all were upspecced. A quicker steering rack and bigger front brake discs were also fitted. Somewhat controversially for the time, the CSL foresaw a trend: no conventional manual gearbox for the flagship sports model. It took Porsche more than a decade to catch on to that particular trick. The SMG II box’s software seems a little quaint now, but it’s still a riot to crack up through the ratios, affording you crucial brain space when at maximum attack. History has proven BMW’s decision right. 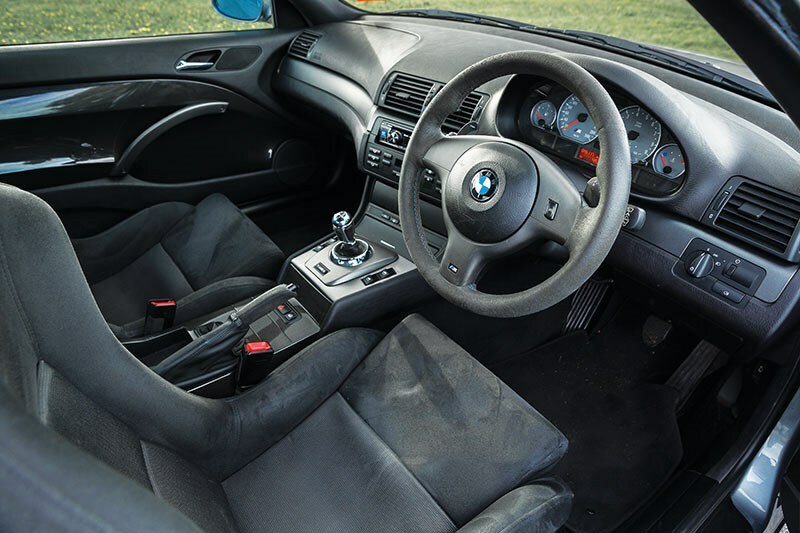 If you like the look of the CSL but hanker after a manual gearbox, track down the less focused E46 M3 CS, the halfway house model with three pedals. 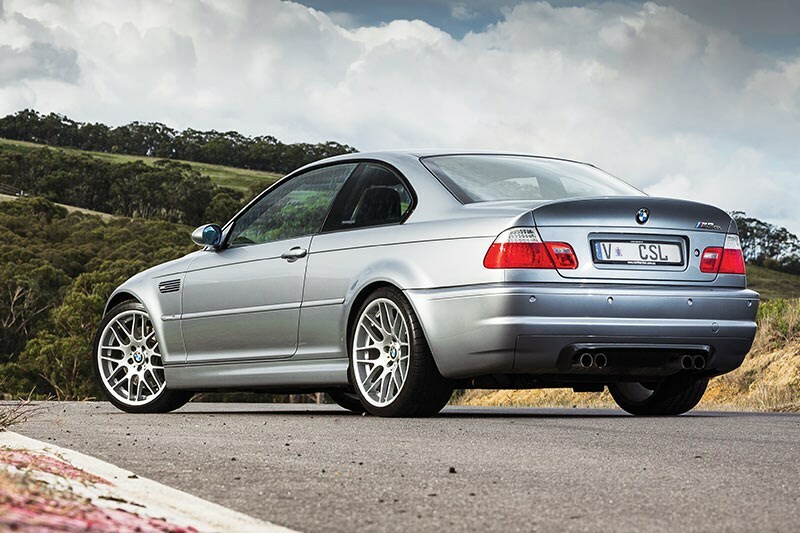 The E30 M3 might have the competition pedigree, but the M3 CSL carries a charisma all of its own, forged on the track, its reputation growing year on year. It chased an eight minute lap, not some EU-mandated emissions figure. 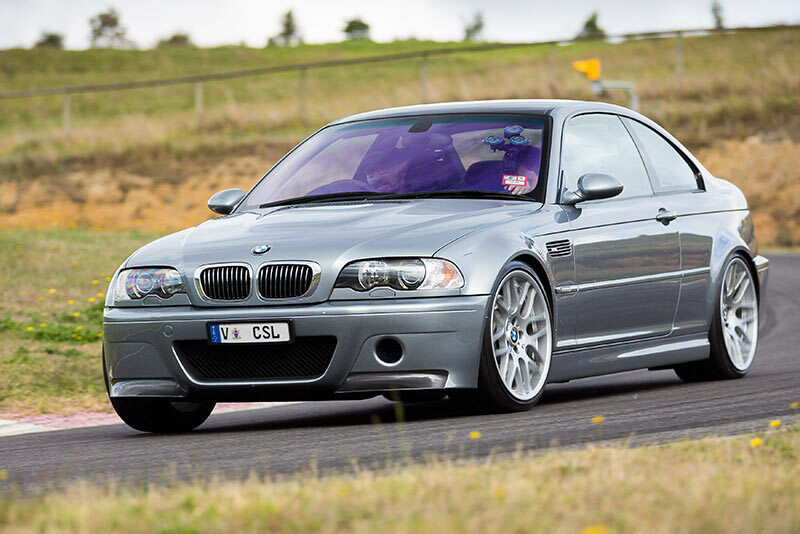 We may never see its like again, so best to cherish the CSL while we have the opportunity. Bowe doesn’t need asking twice. That is a really fun car. Out of all of them, it’s the most fun. It’s got plenty of grunt, it makes the best noise too, with both exhaust and induction sound happening. I’m not a fan of the paddle shifters, never have been really, but as long as you breathe off the throttle as you change up, otherwise it clunks, but the downshifts are quite good. I still prefer an H-pattern manual but having said that, it’s still a great fun car. 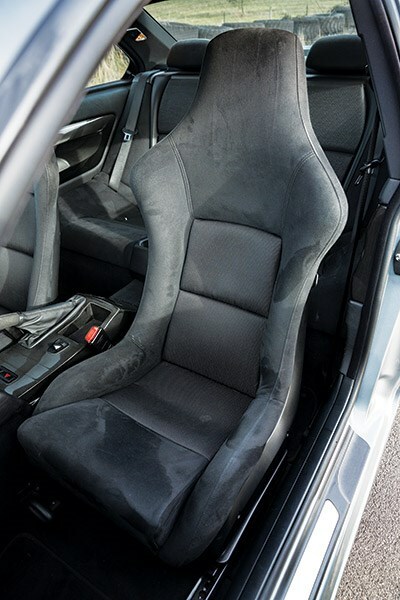 The sports seats are great, it’s lively and you can break the tail away. It’s got a real wow-factor to drive. It really has been a riot. 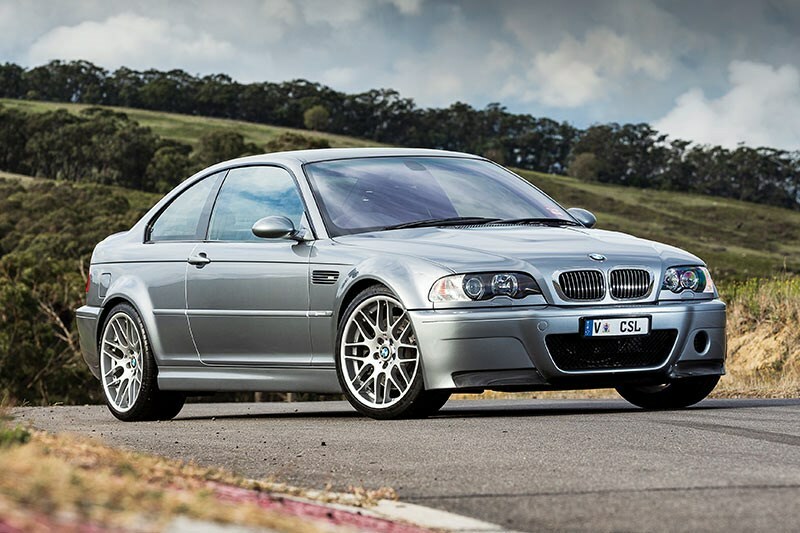 I like all sorts of cars, I’m a BMW fan because my family were BMW dealers back in Tassie, but if I were going to buy one, I know the Evo III’s the most valuable one here, I’d choose the CSL. I like all the others. 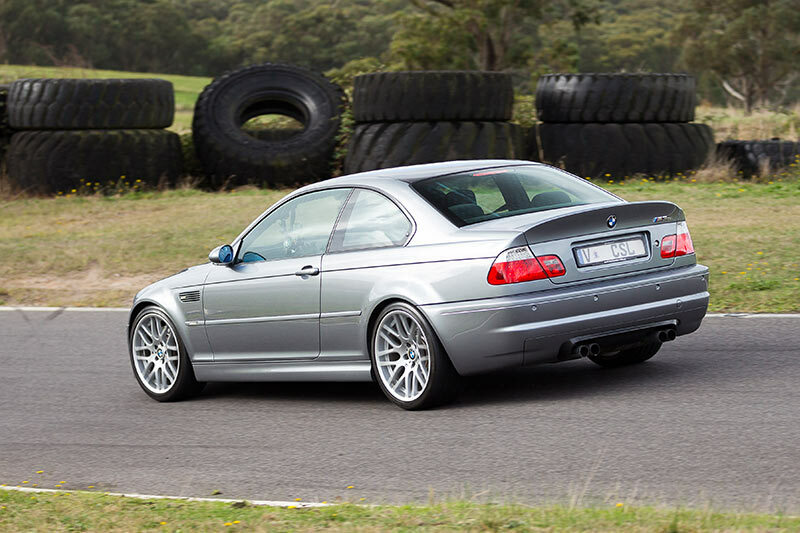 There’s none there that I wouldn’t enjoy owning, but the CSL is so sharp on the throttle, and you can feel the weight loss compared to the normal E46 M3. It’s a great package. I've had a lot of M cars, I had an E39 M5, an E36 M3, and after those I was looking for something that was an extra bit special. 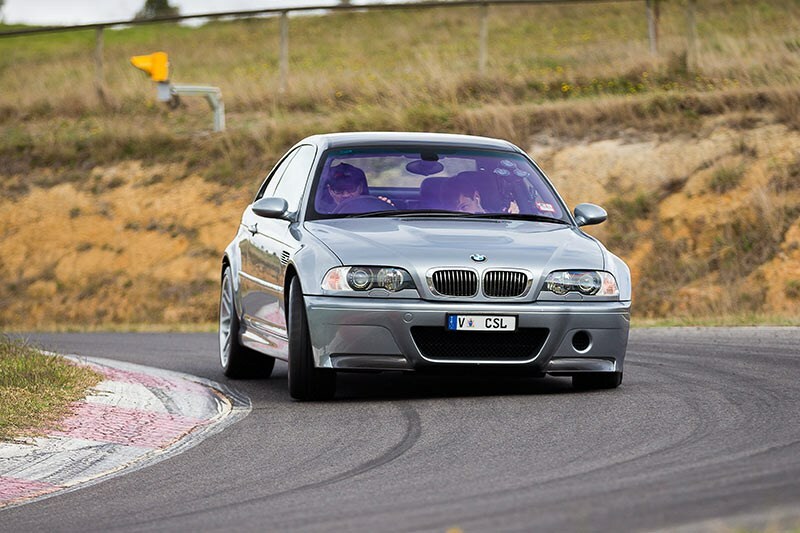 A friend of mine had an E46 M3 CSL, a black one, and I drove it and I was smitten. After that, I just had to have one. I bought this one three years ago. They’re still pretty scarce in this country with only 27 locally delivered cars in Australia, and I’ve kept it as standard as I can. I’ve put in an aftermarket radio with Bluetooth but I’ve kept the old unit, so I can easily return the car to absolute standard spec. 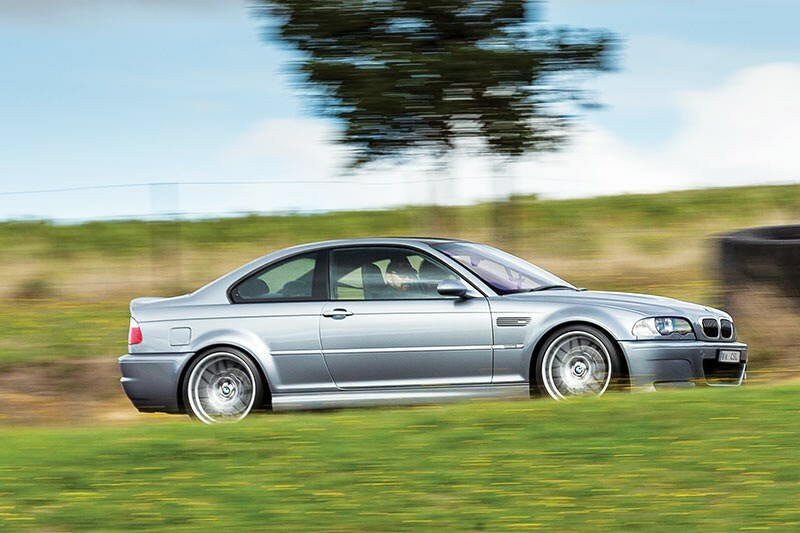 The CSL makes the best noise going, so you really don’t need to modify the car. The only weak point are the brakes which, by today’s standards, aren’t the best, I will say that. The factory brakes are pretty average, only single pot calipers, but certainly fine for road use and I’m not tracking it, so I’ll probably keep ‘em. 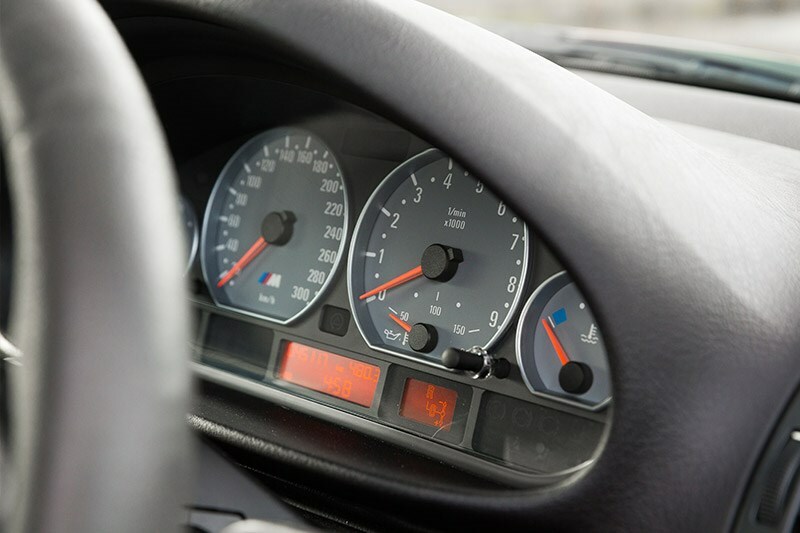 The car’s a 2003 and it’s got 45,000km on the clock. I use it almost every day but I don’t do many kilometres because I work from home, so they’re enjoyable kays. I’ve also got a Ferrari 550 Maranello that I’ve had for two years. I bought that at just the right time and I interchange between the two cars. 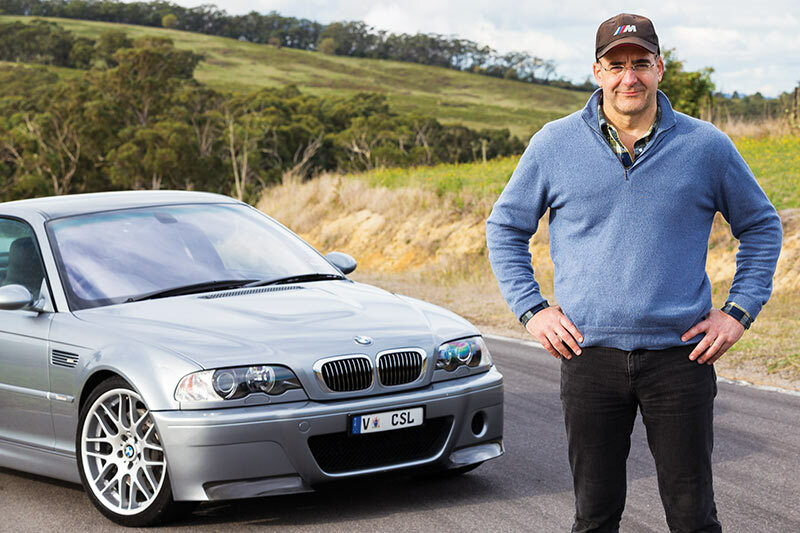 I call the CSL a dead man’s car. It’ll only leave when I die!